Includes: Jumpsuit with boot tops, cape, belt, headpiece. Not included: Shoes. 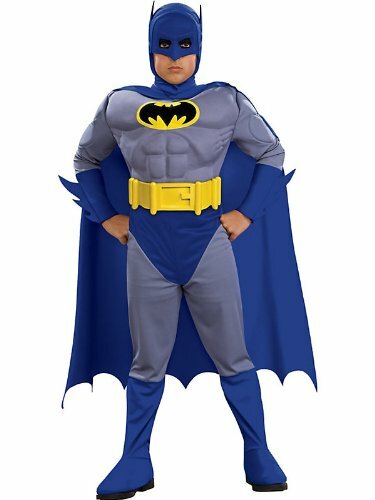 Be the first to review “Batman Deluxe Muscle Chest Batman Child’s Costume-Blue” Click here to cancel reply.